Professor Marion Haas is a leading health services researcher in Australia. She has extensive policy and research based experience of health services funding and financing in Australia. Her research interests are in the use of economic evaluation in resource allocation, undertaking and applying the results of economic evaluation to health care services and understanding the preferences and behaviour of providers and consumers/patients in relation to health care. In addition to being a Chief Investigator on a number of funded economic evaluation projects (rehabilitation following ankle fracture, diabetes care in general practice, new methods of delivering cardiac rehabilitation, person-centred care and environmental changes for dementia patients), Dr Haas is the leader of a UTS team, which, in collaboration with researchers from UNSW, is the recipient of an NHMRC Health Services Research Program grant and is CIB on an NHMRC Capacity Building grant. She is the Program Manager for the newly established Cancer Research Economic Support Team (CREST) which has been funded by Cancer Australia to provide advice and support to all Cancer Clinical Trial Groups in Australia. In addition to her funded research, Dr Haas has undertaken many commissioned projects for both State and federal governments and manages the team at CHERE which evaluates submissions to the Pharmaceutical Benefits Advisory Committee and the Medical Services Advisory Committee. Professor Haas has been a member of a number of NHMRC and NZ HRC Grant Review Panels, including chair of an NHMRC panel in 2009. 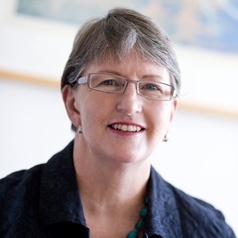 She is currently the Vice-President of the Health Services Research Association of Australia and New Zealand. She is the Australian representative on the newly integrated European Observatory and Health Policy Monitor networks.